Star Wars: The Force Awakens is getting its own EDM companion album from producer Rick Rubin. He has compiled a number of different tracks from different artists, including one from director J.J. Abrams himself. 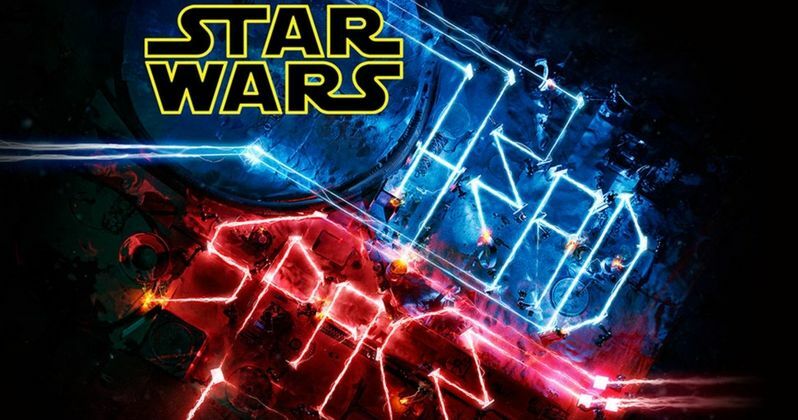 The tie-in soundtrack is called Star Wars Headspace, and it promises to be something very special for fans of the movie as well as fans of this particular musical genre. Star Wars Headspace features not only contributions from J.J. Abrams, but also acclaimed musicians such as Flying Lotus, Rustie, Röyksopp and Rick Rubin. Best part about the release is we don't have long to await its arrive online. The album will drop in just 10 days, arriving on February 19. The first tracks from Star Wars Headspace were played by Zane Lowe on his Beats 1 radio show this week. He previewed Flying Lotus's electronic jazz track R2 Where R U? The music features officially licensed samples of C-3PO. You can her a preview of it HERE. Stephen Ellison, AKA Flying Lotus, had this to say about his contribution.
" "The coolest thing [about the project] is having my name near a Star Wars logo, officially." For those disappointed that J.J. Abrams and Lin-Manuel Miranda's music from Maz Kanata's Castle wasn't included on the original Star Wars: The Force Awakens soundtrack album, conducted by John Williams, a new version is being released as part of this set. Rick Rubin teamed up with A-Trak for a collaborative remix of the track 'Jabba Flow'. A-Trak also has an original track titled NR-G7 that samples bleeps and beeps from none other than iconic Astro-Mech droid R2-D2. Zane Lowe also debuted a second track on his radio show, Baauer's Cantina Boys. The song features official samples of Darth Vader's iconic breathing dropped over ominous beats. Other tracks include C-3PO's Plight by Kaskade, Help Me! by GTA, Force by TroyBoi, R2 Knows Ft. Barry Drift, Ghomrassen by Bonobo, Bounty Hunters by Royksopp, Sunset Over Manann by Attlas, Druid Caravan of Smoke by Shlohmo, Ewok Pump by Rustie, Scruffy Looking Nerfherder by Galantis and Star Tripper by BreakBot. You can pre-order the album Here. Star Wars Headspace will be available for download on February 19. You can purchase the album in stores on March 18. To hear NR-G7 go here. To hear Cantina Boys go here.